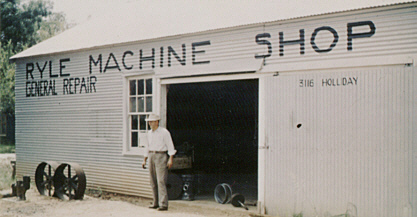 Founded in 1948 by master machinist Hogan C. Ryle (married to Josephine), it was originally a machine shop doing general repairs. 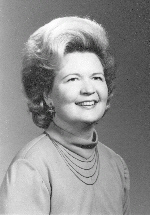 Wallace E. Ryle (below), married Freida Aston (below), in 1950 and began working with his father. Hogan C. Ryle passed away in 1957 and under W.E. Ryle’s management Ryle Machine Shop gradually began the shift to production manufacturing of sprockets. W.E. 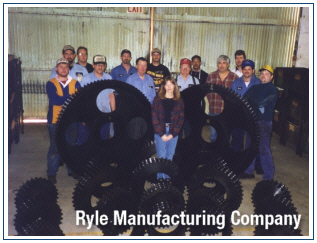 Ryle increased the capacity to manufacture sprockets from 1/4″ pitch (25 Chain) to 3″ pitch (240 Chain). Ryle continued to expand capacity and service to the local “oil-patch” and cotton industries and diversified into automotive, conveying, agriculture, and mining industries. Business was good and Ryle Mfg was unique in the industry with an unusual capacity for such a small plant. Capacity grew to 5 tons or 90″ “whichever came first” making Ryle well-known to be able to manufacture large-pitch, large diameter sprockets. 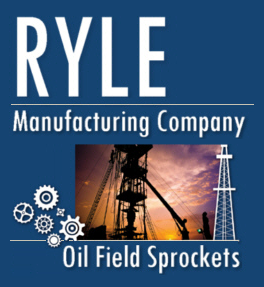 This made Ryle ideally suited for the oil and gas industry. Wallace placed a high value on the people that worked for him: Namely Freida S. Ryle who succeeded Josephine Ryle in keeping the books. Norice E. Mosely was hired by Hogan Ryle in 1953 and continued as shop foreman for 40+ years retiring in 1995. Succeeded by David Ryle. West-Point graduate Marshall Neal came to work for Wallace after military service and spent the next 25 years with the company eventually training James Ryle for office management. 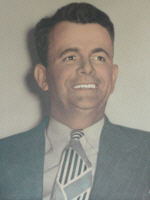 Donald R. Benton (trustee) was also hired by Hogan Ryle and achieved master machinist status early on and continued with the company for 48 years. James Ryle was hired in 1975, and became President of the company in 1992 with Debbie J. Ryle taking over accounting until her premature passing in 1998. Original logo animated by David Ryle. 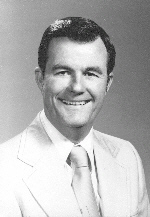 David Ryle was hired in 1973, and he became Vice-President and shop foreman with the retirement of Norice E. Mosely. His wife Linda S. Ryle manages the office and accounting having been with the company 20+ years. Ryle Manufacturing Company still carries on these values which have kept her in operation for three generations. Our Motto: RELY ON RYLE. Our Values: NEVER BACK OFF ON QUALITY. BE RESPONSIVE to the needs of the customer. DELIVER ON TIME EVERY TIME. IF YOU TELL SOMEONE 5 DAYS, DELIVER IN 3. NEVER DEVIATE FROM CUSTOMER PRINTS. TAKE CARE OF YOUR MEN.